Jim Manzi and his friends are trying to reframe the argument about Western European social democracy into something other than the one he originally made. To review: Manzi’s essay – which, again, isn’t all bad – hinges upon the premise that the United States must navigate between economic growth-destroying social democracy and social cohesion-destroying Reaganism. My problem with the essay is that Manzi does a terrible job of establishing his premise that social democracy (his label for President Obama’s agenda) destroys growth and innovation. In his article, Manzi’s only attempt to prove this relied upon a comparison between the share of world economic output of Europe from 1973 to the present with the United States from 1980 to the present. There were multiple problems here. First, he was comparing one area over one time period to another area over a different time period. Second, he was using the whole of Europe, which includes Russia and Eastern Europe, as a stand-in for Western European social democracies. At this point, Manzi’s figures should have been removed from his article and placed into a protective home for abused statistics. And third, he focused on total economic size, mixing together population growth with rising living standards. When you look at per-capita economic growth over the same period, the difference between western Europe and the United States is miniscule. And the differential in global economic output is a function of population size. As the Economist puts it, "If you take the statistical database Mr Manzi uses and do the math out, you find that the entirety of the difference between the change in global GDP shares in America and Europe from 1980-2009 is explained by the difference in population growth rates. That's the whole thing." In response, Manzi now says that this was the real point of his essay. “Ultimately, absolute size of an economy matters,” he writes in a response, “because economic clout represents the latent capacity for military and cultural power.” Likewise, Ross Douthat, whose column first brought Manzi's piece to my attention, writes, "Manzi makes the sensible point that his essay (like my column, which quoted from it) was focusing on America’s position on the global stage as well as our domestic situation, and when it comes to global politics the sheer size of your economy — and not just your per capita wealth — matters a great deal." One obvious response is to use the political process to both slow down the rate of innovation to an acceptable pace and redistribute the country's economic output in a manner designed to maintain social ­harmony. That way, the pain of innovation is avoided and the pain of stagnation is mitigated — especially for the middle and lower classes, who are most vulnerable to the effects of both. This is the logic of the welfare state, and the direction pursued by much of Western Europe since the Second World War. 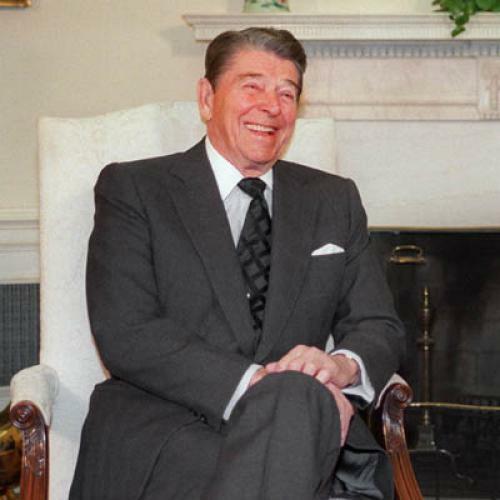 Reagan's strategy, therefore, was to promote sound money plus ­deregulation. He succeeded, and America re-emerged as the acknowledged global economic leader. Economic output per person is now 20 to 25% higher in the U.S. than in Japan and the major European economies. Now that its been pointed out that Reagan's policies did not cause higher per-person growth, Manzi is focusing on total growth, which is almost entirely the function of a more rapidly growing population. In other words, we can ignore all that rhetoric about the welfare state strangling innovation. His real argument is that the welfare state prevents rapid population growth. the European countries with the most generous social safety nets are also those with the highest birthrates; the key factor influencing birthrates in advanced economies is gender attitudes, which is why the highly social-democratic Scandinavian countries, with their progressive policies on gender roles, have higher birthrates than more socially conservative Italy, Greece and Spain. I also suspect that factors such as the long American border with Mexico and different cultural norms, rather than Reaganism, are responsible for more rapid U.S. population growth. Now, maybe there is a persuasive argument that Obama's policies will cause decreased birth rates and immigration. But that argument is nowhere to be found in Manzi's essay.